Kendwa Beach, Zanzibar. All photos by Darren Ornitz. We're always pleasantly surprised by the accomplishments of our childhood friends, and is no exception. Upon graduating from college in 2008, Ornitz, a photographer by trade, has become a globetrotter — making his way around the world in search of the perfect photo op. A particular trip through Africa and the Middle East caught our eye. Whether it's a boy doing a flip mid-air or a lobster diver with a fresh catch, his intimate take on the daily lives of his subjects makes you feel like you're right there alongside him. In addition to setting up a travel, fine art, and commercial photography studio, Ornitz is also a licensed United States Coast Guard Captain and the co-founder of . We asked him to share his favorite photographs as well as what he was thinking while taking them. 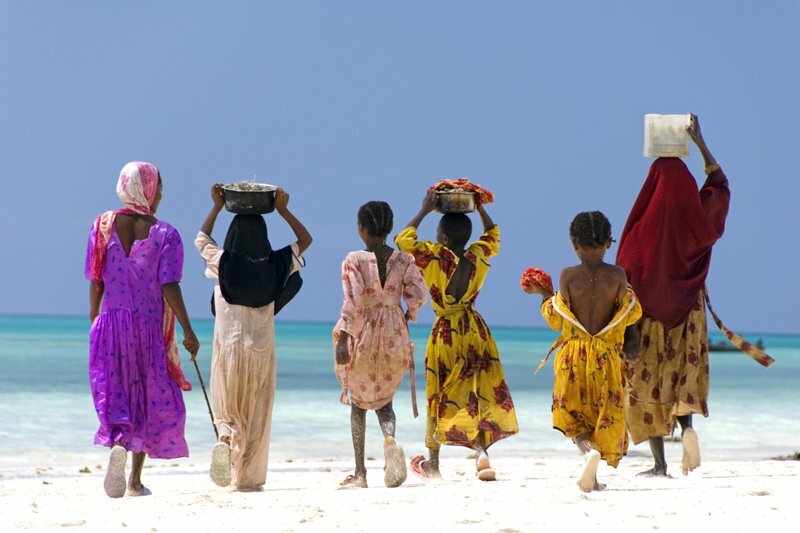 "I was walking down the beach when I came across these women and girls wearing traditional Swahili dress — they were on their way home from collecting sea urchins. Some photographs are taken with thought and precision — others, like this one, are simply about being in the right place at the right time." "The streets of Old Sana'a are some of the most fascinating places I've photographed. In this picture the boys can be seen chewing khat, a popular stimulant plant throughout East Africa and the Arabian Peninsula. My favorite things about this image are the colors and expressions on the boys' faces." "While photographing the ancient , I was approached by a boy who barely spoke English. He took my hand and led me to his family's house, where I was introduced to my first . Later he took a box with a photograph of his father in it from underneath his bed — he then gestured for me to take a picture of him holding the portrait. 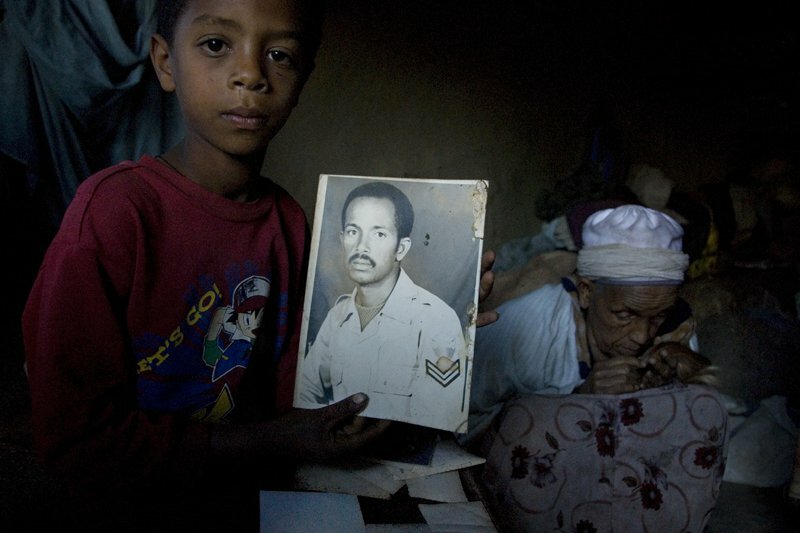 His father had died in the Ethiopian-Eritrean War. There I was, thousands of miles from home, invited into this intimate environment, looking through my lens at three generations of stories. It was a very powerful moment." 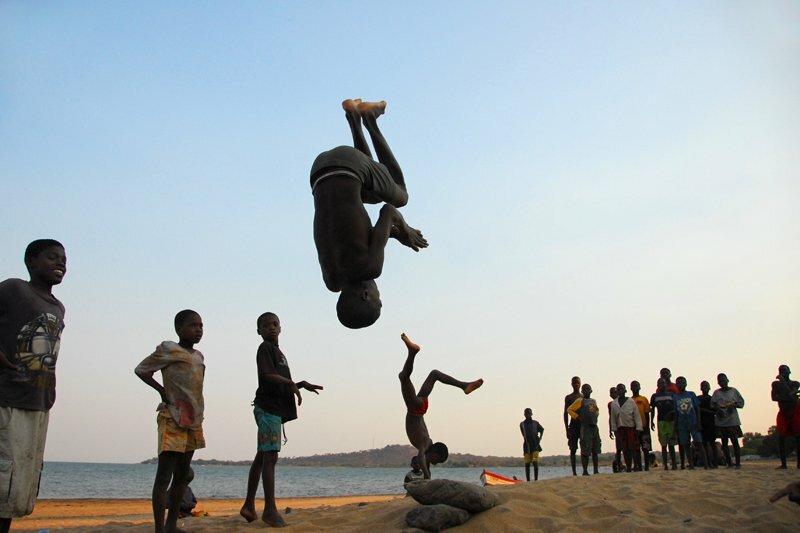 "I encountered one of the most impressive displays of acrobatics I have ever seen while walking along the beach in Senga Bay. The boys lined up, one after the other, again and again, showing off their aerial moves from a rock placed in the sand. As I snapped away, I was hoping I would capture one of the more impressive jumps in a clear frame." 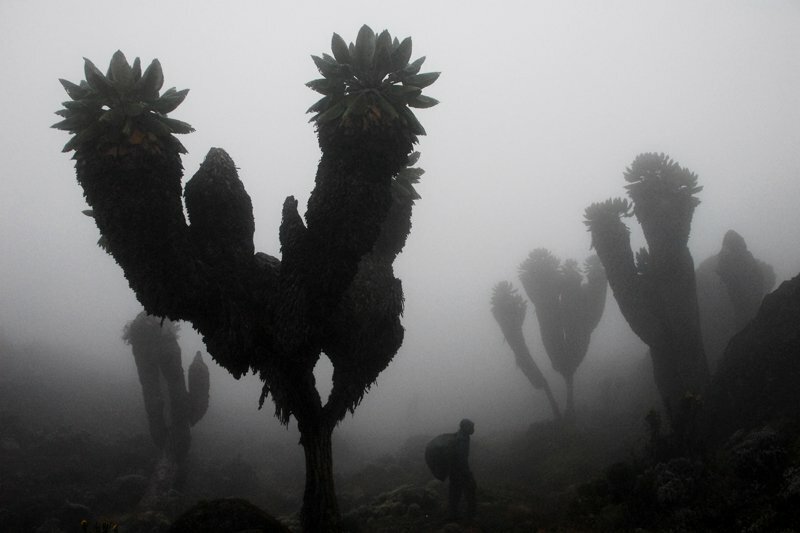 "On my trek to summit Mount Kilimanjaro we walked through the mist and giant Lobelia trees. It was surreal. The light began to fade and created an ominous landscape of silhouettes. Our guide stopped in the perfect spot, and I saw an opportunity to shoot a photograph that showed an accurate perspective of how massive the trees are." "If you think New York is the city that never sleeps, you are mistaken. 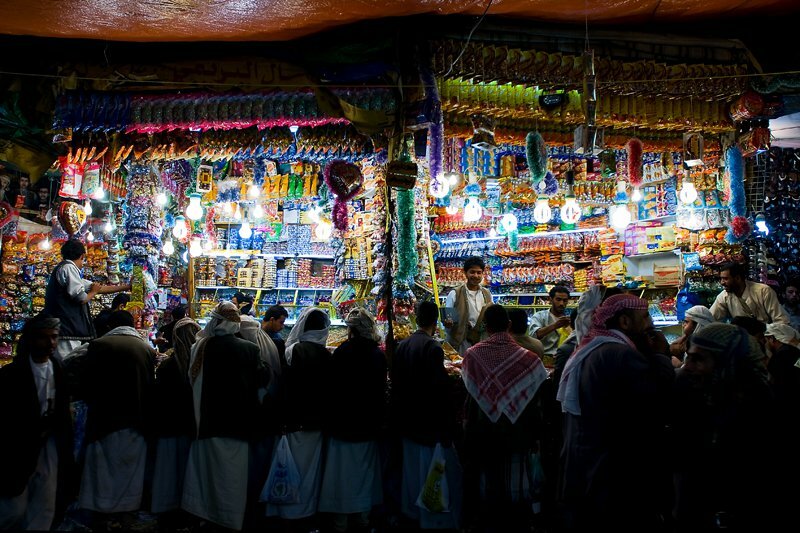 I took this photo at the night market in Old Sana'a, which is as bustling at 2 a.m. as during the day. They sell everything from spices to Jambiya's, the traditional dagger worn by most Yemini men. You can find anything imaginable in that market." 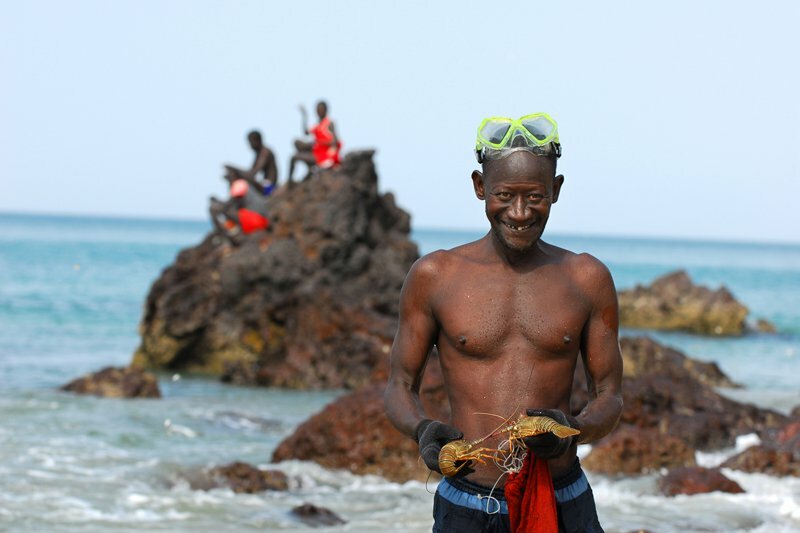 "This man, who had been diving for lobsters, greeted me with his catch and a big smile. While taking the photograph I felt happy for his success and also wondered how long he could hold his breath." "This is an example of a photograph taken during an adrenaline rush. I was in a trance-like zone because I knew there was a perfect opportunity: the silhouettes, the light of the sunset, the dhows passing by. All I needed to do was wait for a moment where I could frame everything." 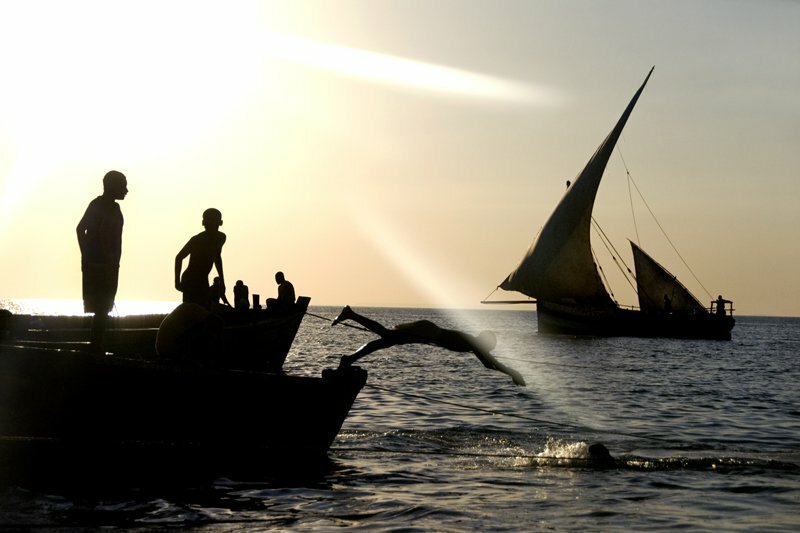 " has some of the most amazing diving in Africa. There is clear visability, soft coral ridges and reefs, an abundance of marine life such as manta rays, reef sharks, and, at times, whale sharks. 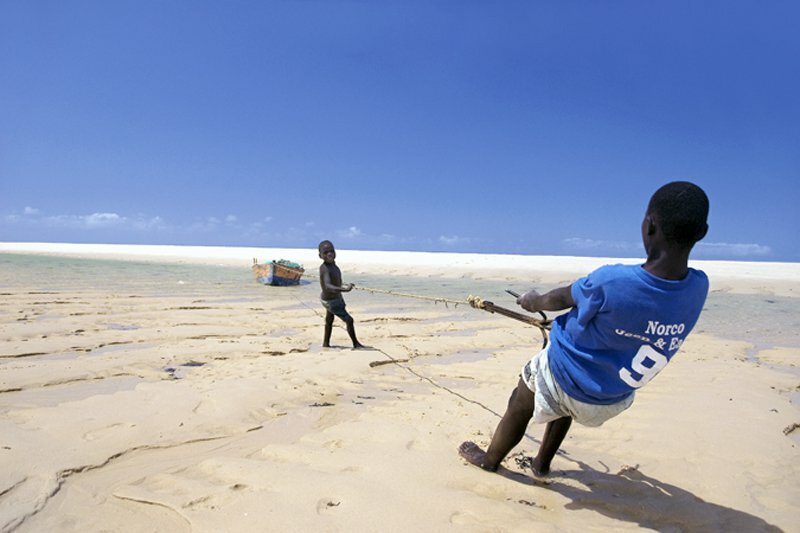 Between dives we stopped at Bazaruto Island, where I came across two kids out fishing for their family. They started to pull the boat up to anchor, and I saw an opportunity for a shot with an interesting composition." "When children in the United States are old enough to ride a bike, Omani Bedouin children are learning to drive trucks. This boy spotted our four wheeler driving over the sand dunes, chased us down, and invited us to his home for tea." "This was taken on a hike from Bulungula to Coffee Bay. 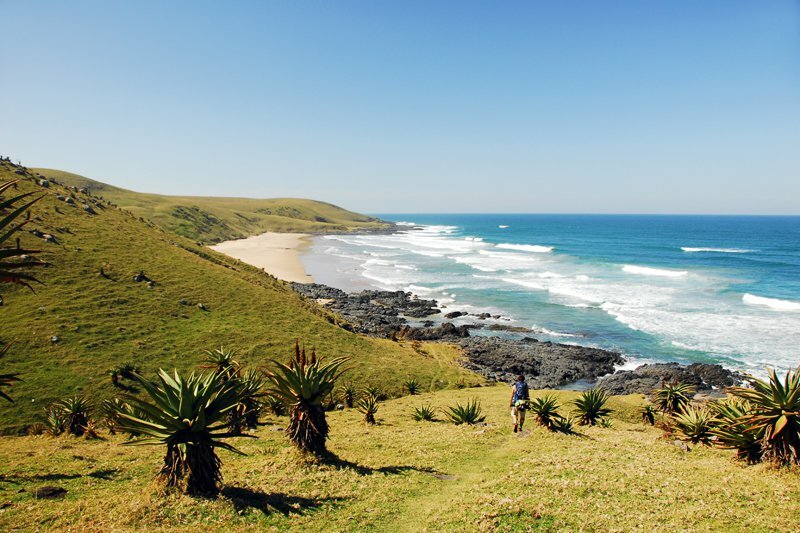 The Wild Coast is a gorgeous natural environment, composed of rolling grasslands, tidal estuaries, groves of aloe cow pastures, and the opportunity to meet the Xhosa people, whose hilltop villages you pass through." "I shot this photograph while on assignment for . They provide women and children with microloans to start businesses in Guinea, West Africa. 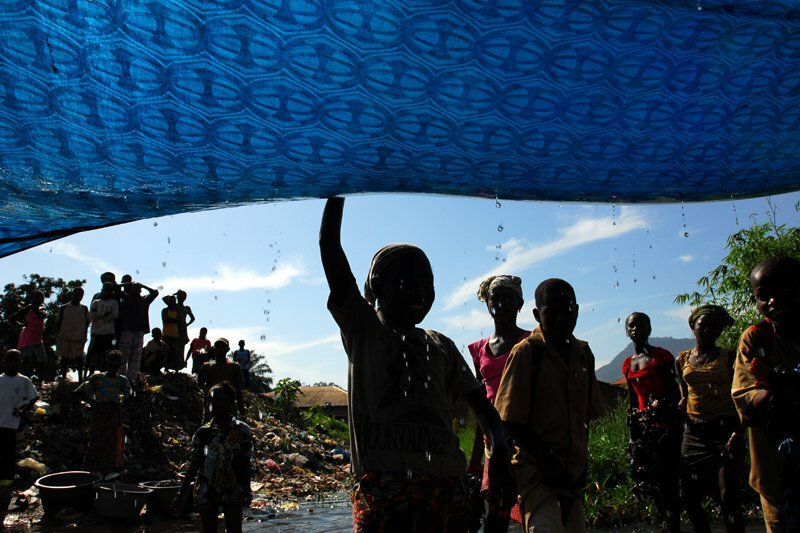 The children are washing a recently tie-dyed piece of fabric in a river near town."